Can Celiac Disease Cause Skipped Periods? Undiagnosed celiac disease definitely can cause you to skip one or more periods. This is a condition known to doctors as amenorrhea, where you're not pregnant and there's no reason (such as menopause) that you shouldn't be having your period. Technically, you have amenorrhea if you've missed three periods or more in a row (and you're not pregnant or in menopause, of course). Medical studies have shown that women with celiac disease are much more prone to this problem than women without the condition. How Often Do Celiac Women Skip Periods? Women who have celiac disease tend to skip periods quite frequently. In one large study, nearly 20% of celiac women reported having amenorrhea (skipping three periods or more in a row) at some point, compared to only 2.2% of women without celiac disease. Another study found even higher percentages for both groups (although the celiac women remained well above the non-celiac women): nearly 39% of celiac women qualified for an amenorrhea diagnosis at some point, compared to about 9% of the non-celiac group. Getting a proper diagnosis and starting the gluten-free diet appears to solve the problem in many (although not all) cases. Celiac disease can cause other problems with menstruation along with skipped periods. Studies have found that women with celiac disease report other period issues, including infrequent, light periods (which sounds great but could indicate a problem that makes infertility more likely), normally timed but extremely light periods (same issue), strange spotting between periods or instead of periods, and extremely heavy or painful periods (more on that here: Gluten Can Make Your Period Miserable). At least one case report in the medical literature cites this issue. In that case, a 20-year-old woman didn't go through puberty until she had been diagnosed with celiac disease and begun to follow a gluten-free diet. Six months after she went gluten-free, she got her first period. Some physicians recommend testing women with amenorrhea for celiac disease, especially if they have other celiac disease symptoms. Fortunately, once women are diagnosed with celiac disease and adopt the gluten-free diet, most resume menstruating normally. There are many reasons for women to skip periods. The most common, of course, is pregnancy. Breastfeeding your baby also can make your period stop. As you can see, celiac disease is only one of many potential reasons for skipped periods. In many women who ultimately are diagnosed with celiac disease, menstrual problems such as skipped periods or a delayed first period are one of the first signs they notice. These menstrual problems seem to appear well before any digestive symptoms are apparent. 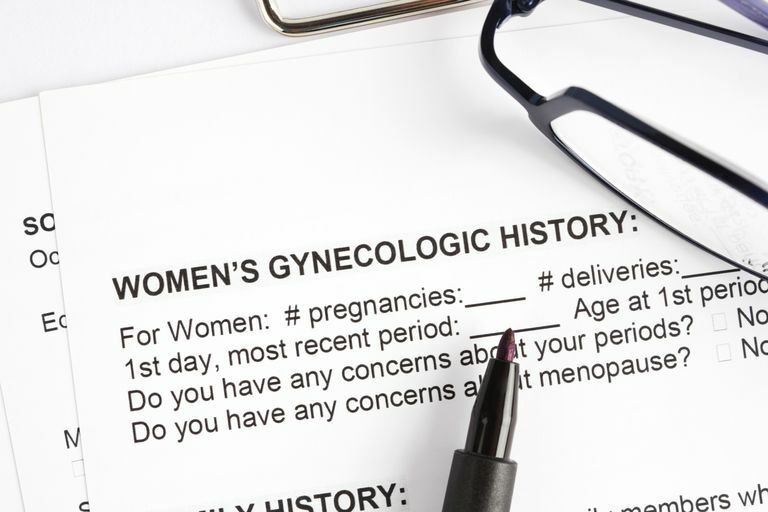 Therefore, if you're a woman with a family history of celiac disease and you notice menstrual irregularities, you might want to talk with your doctor about getting tested for celiac disease. If you don't have a family history of celiac disease but are experiencing missed periods plus other symptoms, such as diarrhea, bloating, fatigue, and abdominal pain, you also should discuss your symptoms with your doctor. Regardless of whether your problem turns out to be celiac disease or something else, such as another medical condition or even simple stress, you should consider seeking a full medical evaluation to find out why you're missing periods, and to determine if you need any treatment. D. Martinelli, et al. Reproductive life disorders in Italian celiac women. A case-control study. BMC Gastroenterology. 2010 Aug 6;10:89. Molteni N et al. Obstetric and gynecological problems in women with untreated celiac sprue. Journal of Clinical Gastroenterology. 1990 Feb;12(1):37-9.